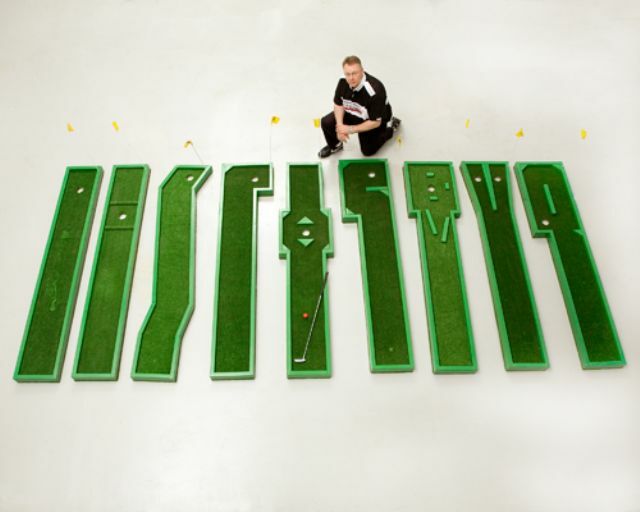 EVERYONE LOVES PUTT PUTT GOLF? 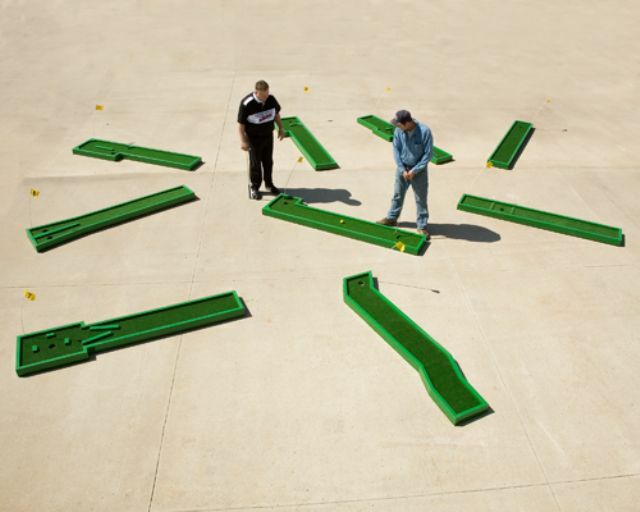 HERE IS OUR TRIED AND TRUE, PORTABLE 9 HOLE MINI GOLF SYSTEM WHICH WE LIKE TO CALL GOLF AGO GO. THE BEST PART OF THIS GEM IS THAT YOU CAN DROP IT OFF AND IT DOES ALL THE WORK! SPACE OUT THE GREENS ANYWAY YOU LIKE. EACH GREEN CAN BE SPONSERD FOR EVEN MORE MONEY. CAN ALSO BE USED AS A LOSS LEADER FOR YOUR OTHER PROMOTIONS. INDOOR OR OUTDOOR, DURABLE AND STACKABLE.